THE FILM: Travel the globe and visit some of the most gorgeous regions in the world in this ambitious exploration of our human fascination with mountains. An epic adventure scored by the renowned Australian Chamber Orchestra and narrated by Willem Dafoe, Mountain is a one-of-a-kind cinematic experience from director Jennifer Peedom (Sherpa). What compels us to conquer landscapes and to reach unfathomable heights? Mountains capture our imaginations and evoke awe like nothing else in nature. For anyone that has dreamed of scaling a mountain or has had the chance to do so, this documentary will awaken the adventurer in you and leave you inspired. 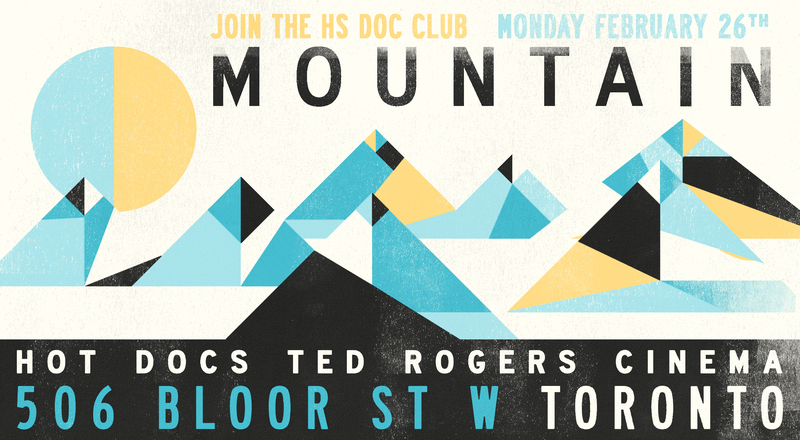 PRE-FILM: Come meet up with us in the lobby of the Hot Docs Ted Rogers Cinema before 6:30 PM. Film starts at this time! Whether you buy your tickets online or at the box office, be sure to use the promo code HARVARDSEAL for a reduced price. POST-FILM DETAILS: To be confirmed! First time coming to one of our events, or coming alone? Let us know! We’ll make sure someone is there to greet you. All are welcome!